If you love reading, working with children, research, and learning, a career as a school librarian may be both rewarding and fun for you. However, knowing exactly what educational path you need to undertake to become a school librarian can be challenging. Although all schools, states, and school systems have different requirements, most require a Master’s Degree in Library Science. While a Master of Arts in Teaching can prepare you to obtain a job in a classroom and often in the school’s administration, it is not typically accepted for the position of school librarian at a public school. However, requirements differ greatly. Public schools are regulated by the state and district school board. In some states or districts, the administration may allow a teacher with a Master’s of Arts in Teaching who has experience or further study in the area of library science serve as the school’s librarian. Further, many states also have an emergency or limited educator license programs. These programs allow schools to hire individuals who do not have the correct licensing when they are in need of an educator and have had no applicants who meet the stated criteria. Many states, such as Wisconsin, require that you’re willing to become licensed in the area that you wish to teach to obtain an emergency license. To become a school librarian, this often means receiving degree in library science. Although state regulations still govern private and charter schools to a certain degree, these schools have more liberty to modify job requirements when hiring educators. For this reason, you may be able to get a job in a private or charter school with a Master’s Degree in teaching, even if you don’t have a degree in library science. In many cases, having experience in the classroom, experience in a library, and being knowledgeable about topics like research and literature will qualify you to serve as a school librarian in a private or charter school. According to the Bureau of Labor Statistics, to become a school librarian, you must have a Master’s Degree in Library Science. However, you must also be licensed as an educator. While many master’s programs in library science also include licensing programs, if you have a Master’s of Arts in Teaching, you may already be licensed to teach, so you may be able to reduce the amount of time you spend in the library science master’s degree program. 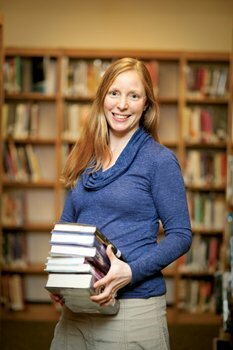 Although a Master’s Degree in Library Science is preferred for those who wish to become school librarians, librarians are not the only professionals who work in school libraries. Instead, schools often hire assistants, research specialists, and other professionals. With a Master’s of Arts in Teaching, it is likely that you would be qualified to work in one of these positions. Additionally, some schools offer reimbursement or benefits for educators who wish to further their education, so you could obtain an assistant job while being paid to go to school for a Master’s Degree in Library Science. If your heart is set on being a school librarian, a Master’s Degree of Library Science is the best degree for you, but if you have a Master of Arts in teaching, there are many ways to get your foot in the school library’s door through emergency licensing, private/charter schools, and non-librarian library jobs.